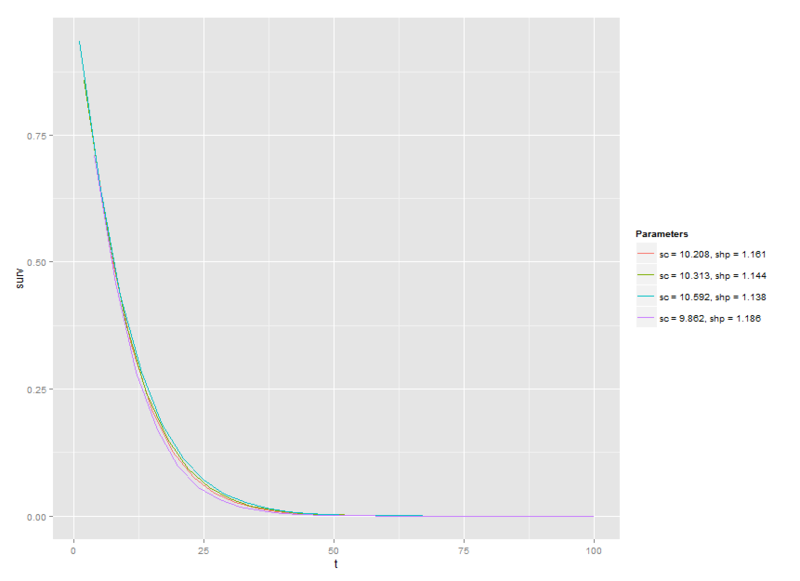 I have a function (weisurv) that has 2 parameters - sc and shp. It is a function through time (t). Time is a sequence, i.e. t<-seq(1:100). How (in a vectorized manner) to retrieve single value quantities from dataframe cells containing numeric arrays? how to read a string as a complex number? Sleep Shiny WebApp to let it refresh… Any alternative? Am I using sapply incorrectly? How can I minimize this function in R? How to call java method which returns list from R Language.